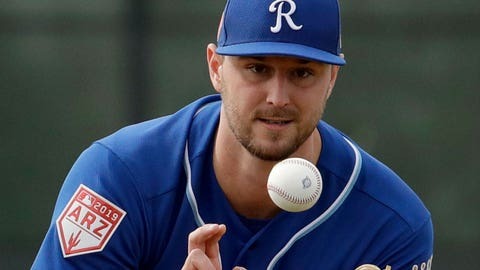 Chris Ellis went to spring training with the Royals and pitched in one regular-season game before being designated for assignment. Pitcher Chris Ellis, who was selected from the Cardinals by the Texas Rangers in the 2018 Rule 5 draft and then traded to Kansas City in December, is back in the Cardinals organization. To keep him, the Royals would have had to keep the right-hander on their roster all season. Instead, they designated him for assignment April 3. He cleared waivers, enabling his return to the Cardinals. Ellis made one regular-season appearance for Kansas City before his release, allowing a hit and a walk in one scoreless inning of relief. St. Louis originally obtained Ellis from the Braves in the Jaime Garcia trade in December 2016. The Cardinals also got pitcher John Gant and infielder Luke Dykstra in that deal. Ellis went a combined 10-4 with a 3.93 ERA and 124 strikeouts for Triple-A Memphis and Double-A Springfield last season. He pitched 132 2/3 innings in 31 games (21 starts).